Faq For Eskia Computers - How do I clear my cache and history? 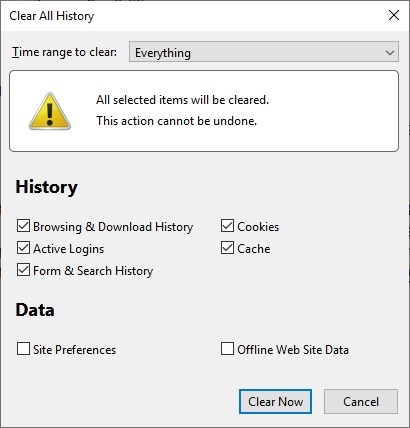 Once the 'Clear Now' button has been pressed it might take sometime as there might be quite alot of data to clear if it has not been done in some time. Be aware this will also clear any save passwords.